Do you know an individual and/or an organisation that deserves recognition for a significant initiative that will leave a legacy for Melbourne’s future? 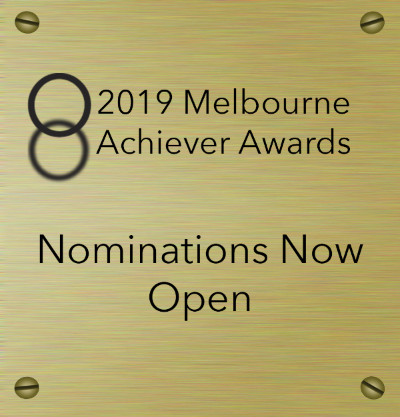 Nominations for the 2019 Melbourne Achiever Award are still open. Recipients will be announced at our prestigious Annual Dinner on May 22nd and will join previous Melburnians of note including philanthropist Naomi Milgrom AO (2018, Individual), The National Gallery of Victoria (2016, Company) and around the world sailor Jesse Martin (2000, Individual). Please click here and submit your nomination by Friday 29 March. As a proud supporting partner of the Cities and Regions 4.0 Summit, held at Crown Promenade last week, Committee for Melbourne hosted an event focusing on the need for closer integration of our cities and regions to enhance our future competitiveness in the world’s most dynamic region, Asia. The session formed part of our Eastern Seaboard Collaboration Taskforce, which is advocating for a more integrated approach to help boost our economic productivity. In serendipitous timing, the event coincided with the announcement by the Federal Government that it would progress plans for fast-rail links between the nation’s three biggest cities and their regions. This is testimony to the Committee’s forward-looking agenda, and its adventurous approach to addressing some of the most pressing issues we face as a city, state, and country. Our former Director of Policy and Research, and now Director of SJS Strategy, Sander van Amelsvoort opened with a powerful case for the importance to Australia’s future of an Eastern Seaboard megaregion. It was followed with a panel discussion with members Tim O’Loan from AECOM, Kathy Coultas from the Victorian Government, Jessica Christiansen-Franks from Neighbourlytics. While much of the discussion focused on our Cities’ and Regions’ innovative capacity and future competitiveness, the notion of an East Coast Megaregion was an attractive proposition to all participants. Not only would such a region enhance our capability to compete in international markets, it should help relieve our congested metropolises, activate the regions, make housing more affordable, create new jobs, improve liveability, and help protect our natural environment. Committee for Melbourne will continue to advocate for an Australian East Coast Megaregion as part of our Eastern Seaboard Collaboration Taskforce. To help us turn the vision into reality, or for more information, please contact us at cfm@melbourne.org.au or (03) 9650 8800. On 15 May, the ANE is hosting a Future Work Summit at the Melbourne Convention and Exhibition Centre. The Future Work Summit gives delegates and their teams the opportunity to learn from diverse industry experts who have already taken action to " future proof " their businesses and workers. You will learn how to maximise productivity, create a forward-thinking workplace culture, streamline business processes and gain insight into the technology and data driving the workforce of the future. To join the conversation, please click here. Automated and Zero Emissions Vehicles | How could they shape Melbourne? Following the release of Infrastructure Victoria’s advice on Automated and Zero Emissions Vehicles Infrastructure in October 2018, the Committee for Melbourne is hosting an event where participants will be able to track IV’s advice against the Committee’s priorities. Dr Jonathan Spear, Executive Director and General Counsel of Infrastructure Victoria will speak on the evidence that underpinned their advice and recommendations to the Victorian Government to enable the roll-out of both highly automated and zero emissions vehicles in the state. Infrastructure Victoria and the Committee for Melbourne invite members to attend thisforum to understand how the vehicles of the future might shape our city and the infrastructure required to support them. The long-awaited Melbourne Airport Rail Link (MARL) appears to be edging closer, much to the enthusiastic support of our membership. We held a highly successful and well attended special member briefing on 14 March with AirRail Melbourne, the consortium which aims to deliver the MARL in collaboration with government. Fortuitously the day before, the Victorian and Federal Governments jointly announced a Heads of Agreement for MARL, which sets out the strategic objectives, information sharing processes, and governance arrangements for the project. AirRail Melbourne, comprising IFM Investors, Melbourne Airport, Southern Cross Station and Metro Trains Australia, provided details of their market-led proposal, including clear travel times, pricing, and why their solution can unlock broader benefits for Greater Melbourne and Victoria. The presentation was followed with a panel discussion with Laura Cavallo from Destination Melbourne, Bryce Prosser from RACV, Michael Sewards from SkyBus, and Danny Elia from IFM Investors; each offering their own unique insights on the impact the proposed MARL will have on our city and Victoria. The MARL project is a very positive example of how the Federal and State Governments can work with the private sector to deliver a crucial project for our city, our state, and ultimately our country, by enhancing inter-city connectivity and productivity. The Committee’s Five Guiding Principles for the project are as relevant today as when they were first published in January 2018; the first of which emphasizes that "the future is already here". So we are disappointed that governments have indicated that the project is due for completion by 2031 only, when, plainly, it can and must be sooner, a point the Committee will continue to make. Committee for Melbourne will continue to advocate strongly for a world-class service to ensure Melbourne remains one of the world’s greatest cities. 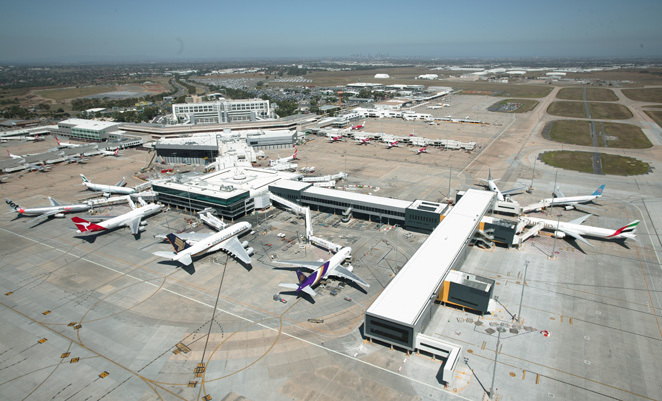 For more information about the Committee’s Airport Link Taskforce, please contact the Committee at cfm@melbourne.org.au or (03) 9650 8800. The Committee’s prestigious event of the calendar year is fast approaching. This year the Committee is bringing big ideas into focus at this year’s THINK BIG Annual Dinner by paying homage to the inspiring Melburnians who came before us and aspiring entrepreneurs building their legacy for Melbourne’s future. This stimulating and highly enjoyable event is not to be missed. For full event information, please click here. 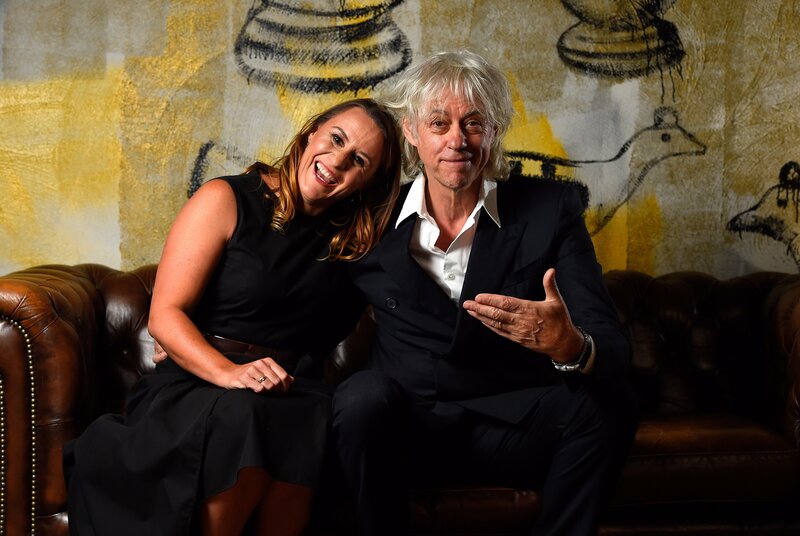 Congratulations to the Committee for Ballarat for organising an excellent meeting of the Committees for Cities and Regions Network, topped off by a hugely successful roundtable dinner with global philanthropist and activist Bob Geldof. Geldof emphasised the importance of taking personal responsibility for effecting change and the value of a local initiative to support thriving, civic minded communities. The C4 network meets twice a year, alternating between a city and a region. Newly joined member of the Network, Committee for Brisbane will host our next meeting in October. The network now comprises 18 cities and regions in Australia and New Zealand. Network members exchange information and shared challenges, collaboration and partnerships, such as sharing speakers and participation in major conferences such as Cities and Regions 4.0. The network has now commenced looking at joint advocacy initiatives in Canberra following the Federal Election. The Committee for Melbourne chairs these meetings and provides Secretariat services. We asked Asialink Group CEO Penny Burtt about her organisation and why Asialink joined the Committee for Melbourne cohort. 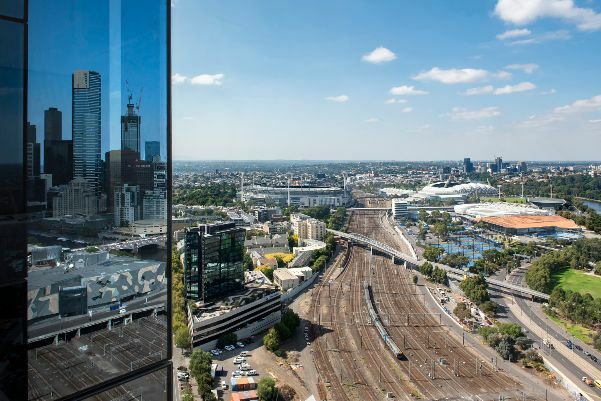 “Asialink Group shares the Committee for Melbourne’s vision of shaping our incredible city as a leader in the world's fastest-growing region. We are especially excited about collaborating with the Committee on its agenda for encouraging a thriving not-for-profit ecosystem, as well as shaping Melbourne as a vibrant, global destination for arts, culture and design. Asialink’s arts programs foster cultural engagement between Australia and Asia through creative exchanges and institutional relationships that build long- lasting linkages. Melbourne’s dynamic, growing community of Asian Australians, plus our many international visitors, have a key role to play in helping us all drive closer engagement with Asia for the future” noted Ms Burtt. This week is This Girl Can Week, where Vic Health are inspiring women to get active. Throughout Victoria, you’ll see some great offers available, that are designed to encourage women to get active or to return to activity after a break. 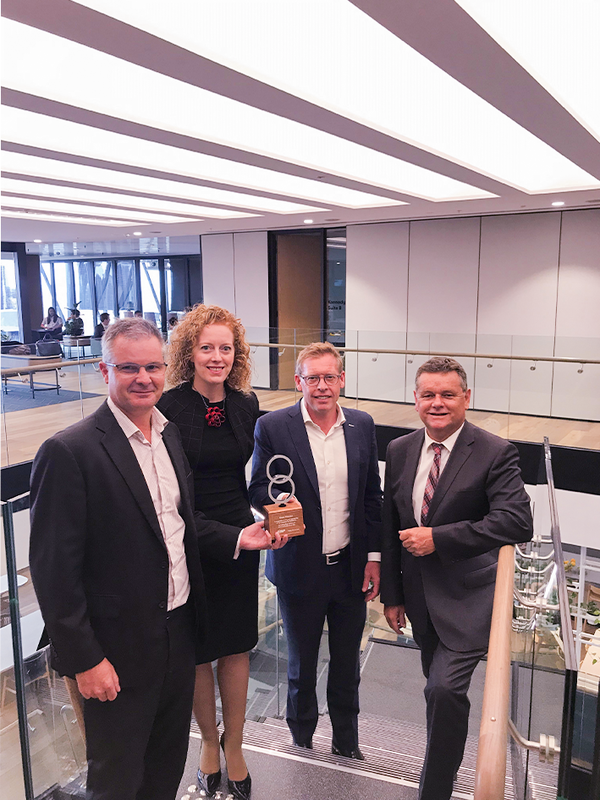 Congratulations to Grant Thornton, which has been recognised for 20 years of membership and its consistent focus on making a difference to clients, colleagues and the communities in Melbourne. Grant Thornton is one of the world’s leading organisations of independent assurance, tax and advisory firms. 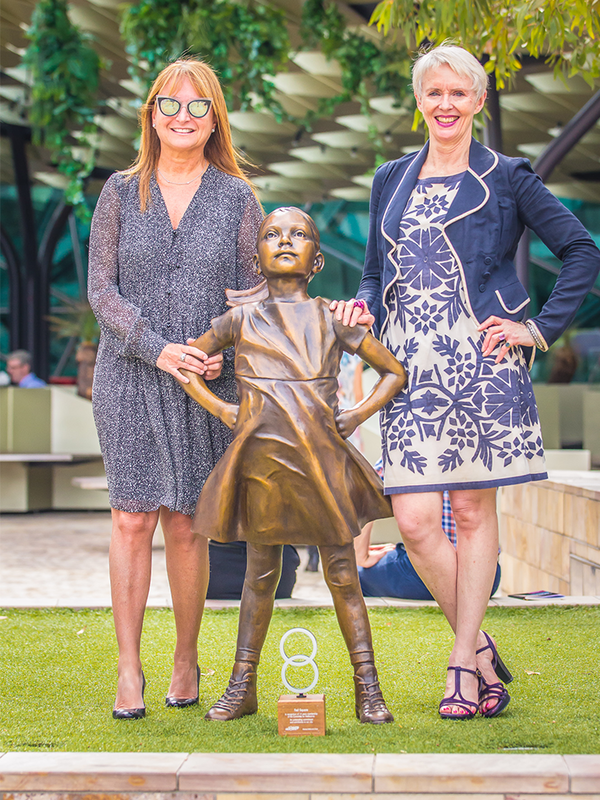 Last week the Committee’s CEO, Martine Letts, presented Deb Beale, Chair of Federation Square with a trophy in recognition for 15 years of membership. Fed Square were not only recognised for the unique and cultural experiences they bring to Melbourne, but also for their consistent contribution to developing and futurising our city. Ardoch invites you to join Ardoch's Great Race - a fundraising event that will put your problem solving and teamwork skills to the test. This is your opportunity to race to ensure all children can realise their potential through full participation in education. 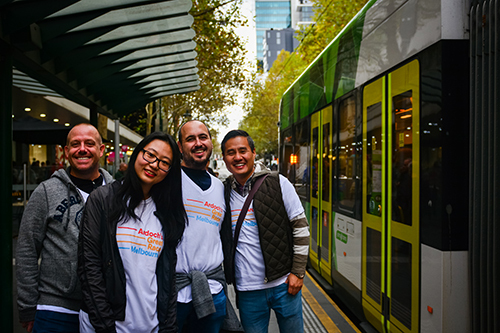 Ardoch’s Great Race will take place on Saturday, 4th May 2019 at 11.00am, starting at the Metropolitan Hotel in Melbourne’s CBD. On March 21, Guide Dogs Victoria are holding their first-ever Giving Day where every dollar received will be quadrupled by some of their generous supporters, but only if they reach their target! Find out how you can support to build the world’s first sensory campus and education centre for people living with low vision or blindness. To hear what’s happening at the Committee for Melbourne, sign up for our Committee Communiqué.